Contaminants in HVAC piping can cause the system to experience issues like blockages, leaks, and excessive noise. They may require regular services. Problems like this can be reduced with expansion vessels or with the installation of hydraulic separators. The HVAC system works more efficiently if no air, gas, or dirt particles enter the pipeline. Low-cost HVAC solutions only provide cost savings in the short term. Costs will pile up over time as they have a higher likelihood of needing maintenance and repair than expensive but high-quality systems. Better HVAC components and installation practices reduce the risk that the system will face performance issues later on. HVAC systems installed with low quality materials may require major renovation. These renovations can include the installation of a quality hydraulic separator. Hydraulic separators reduce flow velocity in pipes. In doing so, they provide hydraulic separation and filter out air and dirt contaminants from a system. They separate the boiler and heating circuits, vent the heating medium, and prevent low-temperature corrosion from occurring. Potential contaminants are then filtered out through a drain valve. Some separators come with magnetic dirt removal capabilities. These are more effective for older HVAC systems with large amounts of magnetic iron and steel contaminants. Hydraulic separators essentially provide additional functionalities without the need for more piping connections or installation costs. On the other hand, closely spaced tees prevent the flow in one circuit from entering into or interfering with another. They are a cheaper alternative to hydraulic separators. However, they need additional air and dirt removal devices for these capabilities. Efficient air and dirt separation capabilities can easily separate and remove air, dirt, and magnetite particles from an HVAC system. Building infrastructures with these features can provide long-term performance and energy efficiency. They will continue to provide benefits for building occupants, maintenance staff, and facility managers. The end of warm seasons means cooling systems begin to shut down. This usually leads to a drop in pressure that allows gas to enter a pipeline and create the potential for corrosion. 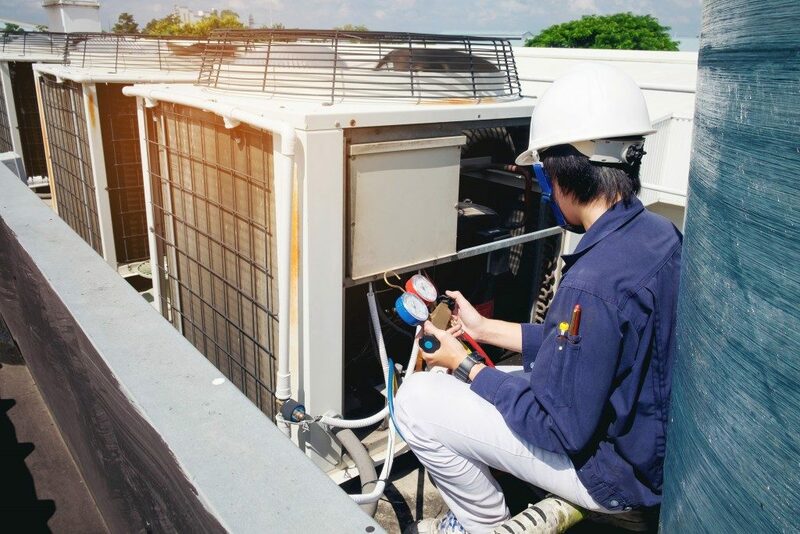 Oxygen reacts with metals and pipe components to form magnetite and other types of contaminants that affect the HVAC system’s overall performance. Leftover residues and contaminants block valves and damage important components like the boiler circuit. Another way to prevent air and gas ingress to HVAC systems is through the use of expansion vessels. These vessels deliver just the right amount of pressure required for promoting energy efficiency and system longevity. The material of a vessel can provide tightness and pressure for gas because it has low gas permeability. This means the vessel is resistant to air diffusion and can reduce the entry of air into the HVAC system. Optimal pressure lowers maintenance demands and can decrease the likelihood that contamination and corrosion problems develop. HVAC systems are inefficient if pipes are filled with contaminants. Efficiency and functionality can be improved with the use of better quality components and the installation air and dirt separators.